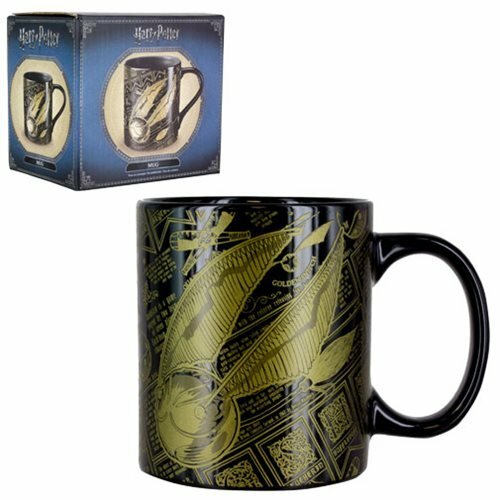 Take a break from chasing the Golden Snitch and enjoy a much-needed tea-break in this lovely Harry Potter Golden Snitch Mug. 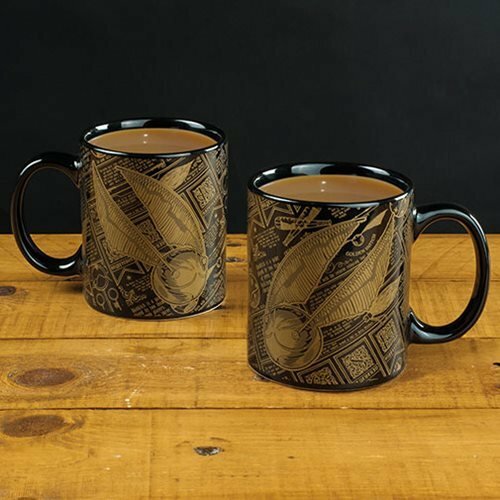 This ceramic mug has a beautiful, intricate design that features the golden snitch and some other artwork from the Harry Potter books and films. 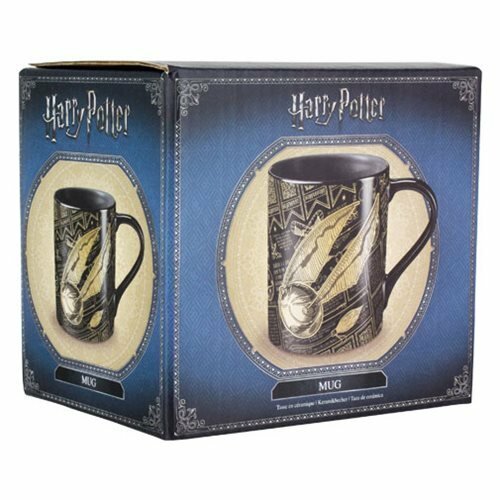 Makes a fantastic gift for Harry Potter fans, this Harry Potter Golden Snitch Mug is the perfect for your next tea-break! Hand wash only. Not dishwasher safe. Do not microwave.